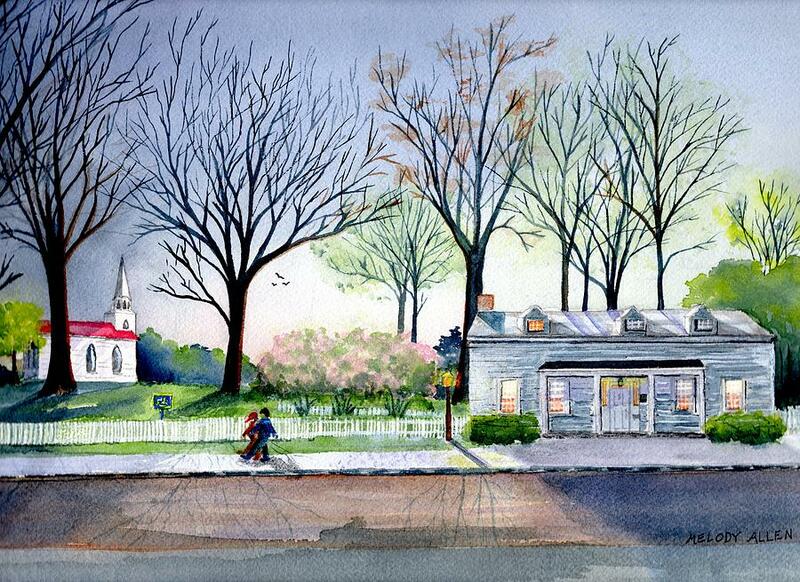 1810 House is a painting by Melody Allen which was uploaded on October 5th, 2010. Clapboard house built in 1810 located on Main Street in Warwick, New York. A beautiful park on the grounds with an old fashioned white picket fence. In the distance stands the old meeting house.